Estivalia Puig. Eau de toilette 10ml SPLASH. VERY VERY SMALL SIZE UNBOXED. Estivalia Puig. BOTTLE 25ml / 0,8 FL.OZ SPLASH. 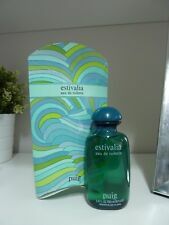 ❤️ESTIVALIA PUIG SET EAU DE TOILETTE,.3.4 OZ 100 ML.+CHARM ☆☆☆☆☆! EAU DE TOILETTE VAPORISATEUR NATURAL SPRAY. The item for sale is shown exactly in the image, you can see in the pictures all the details, so you know how is the product that you will receive. I would love to help. Estivalia Puig. Eau de toilette 100ml SPLASH. 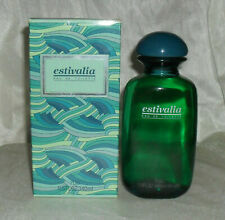 Antonio Puig FIESTA de ESTIVALIA EDT 2 x 50ml. We will Provide the Most and Best Answers Possible. All my fragrances are guaranted 100% genuine and authentic. Decorations not included. 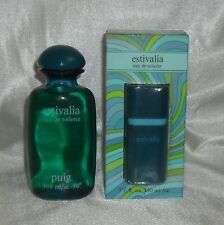 Antonio Puig FIESTA de ESTIVALIA EDT 2 x 50 ml. All my fragrances are guaranted 100% genuine and authentic. Decorations not included. ESTIVALIA ANTONIO PUIG Eau de toilette 75ml. USED AS SHOWN IN PICTURES. ESTIVALIA PUIG. 75ML SPRAY. WHAT YOU SEE IS WHAT YOU RECEIVE. DE ESTIVALIA. ANTONIO PUIG. PURER LUXUS FÜR DIE FRAU. NEU & OVP! NEU & OVP ! ES HANDELT SICH SELBSTVERSTÄNDLICH UM NEUE WARE VOM HÄNDLER. EAU DE TOILETTE. 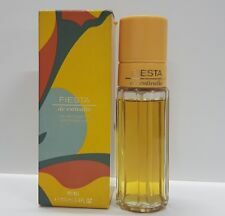 Antonio Puig FIESTA de ESTIVALIA EDT 50 ml. All my fragrances are guaranted 100% genuine and authentic.